You must make reservations at least 5 minutes in advance of the time at Giovanni's Kitchen. There is a private parking lot for our customers. 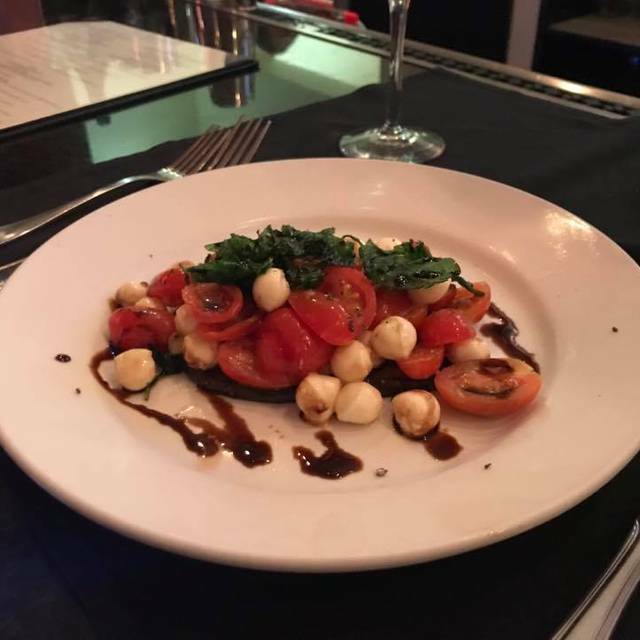 Great Italian cuisine in a casual, comfortable setting. This is the third restaurant from the Gabriele family, including Giovanni's on the Hill and Il Bel Lago in Creve Coeur. Giovanni's sons Frank and Carmelo bring this taste of Italy to Ladue. Always great. Matt our favorite server always allows us to set the pace of the meal. Went for fish instead of pasta and it was excellent. Best value in town. The lettuce for the salad was tuff and old, was not impressed with the seafood spaghetti dish as did not seem fresh seafood which was over cooked with under done pasta. Friends dish was good. Great staff. Very attentive to a larger group. Made good menu suggestions without pushing the expense acct items to pad the bill. Pasta tasting was incredible. And don’t miss Nona’s Meatballs!! A pleasant Wednesday evening. The food was excellent. The Lamb Chops were uniquely prepared and delicious. Service was efficient and comfortable. Worthy of the label, "Fine Dining"
Food and service very good, ate outside, so can't comment on inside ambiance. Always a pleasant dining experience, with great food including options of smaller portions for the smaller appetite, and a great wine list. We often eat here before heading downtown for the Fox, and they are always able to accommodate us when we have a limited time for dinner. Nice place to catch up with an old friend. Quiet enough to hear each other talk, friendly and attentive waitress who didn’t make us feel rushed (it was a weeknight which helped), and the food was delicious. 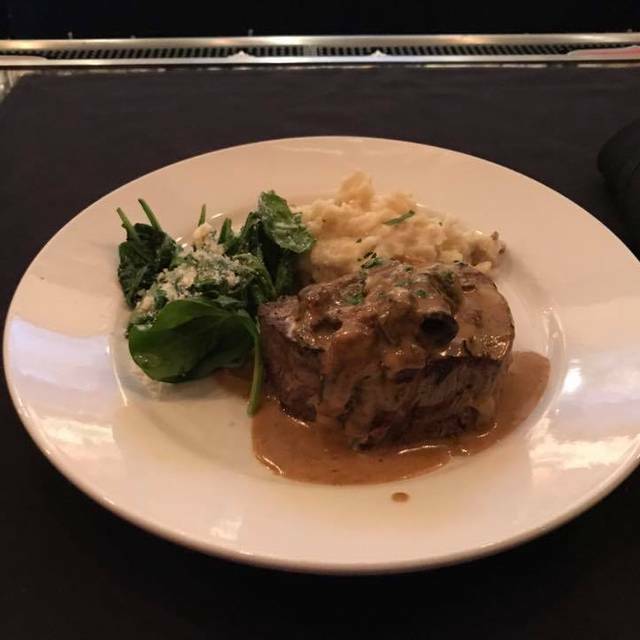 The food was delicious and the service was excellent, we will be sure and go back soon. Had a great family get together. My mom doesn't hear so well and won't get hearing aids so it is important that it not be noisy. This restaurant was not noisy. Thank you, Matthew, for the excellent service. And for knowing that we were not in a rush and making sure the courses came out at the correct pace. A real professional. Great balance of quality and price. Very tasty Italian food each time that I have eaten there. I rarely give 5 stars to a restaurant...has to be over-the-top outstanding but we really enjoyed our meal here. It's real Italian cooking, sometimes with a twist like the veal in cognac...tender & very tasty! 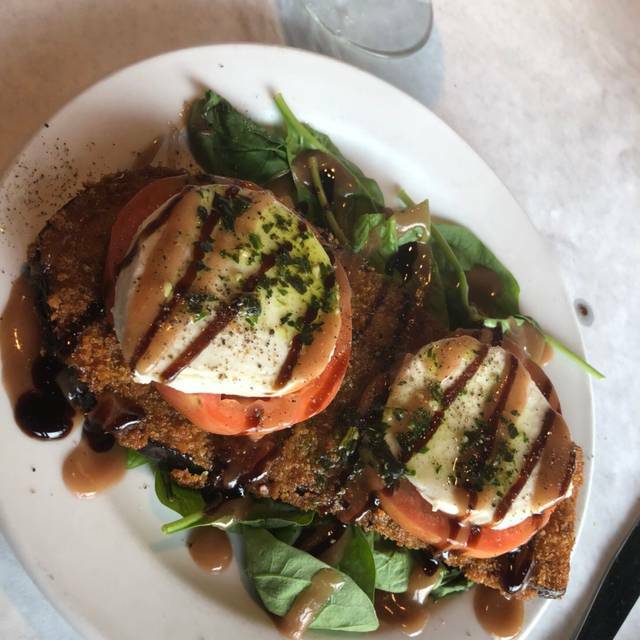 The salads were nice...more than just lettuce & tomato....the eggplant/mozzarella was very good but wished for those homegrown beauties & fresh mozzarella. The waiter was knowledgable & prompt & seemed truly to care about us which is always a plus. We'll definitely be back! Great ambience, location, waitress, food, perfect for after work casual and well priced, upscale dinning! Server was the best. Seating was not ideal but the service made up for that. Food was good. I found the nice level perfect. Food and service also perfect. Always great food and service. They do fish better than most seafood restaurants. Food and service 1st rate. Our server Matt was great. This place is so reasonable compared to other restaurants in the area. We appreciate the smaller portion options. Great food and service. It was cold in the dining room. Food is excellent, pasta portions a little small for the price. Will go back again because the flavors were great! My family loves this restaurant!! Besides the amazing food, everyone that works there is not only very professional, but also friendly and kind. Fabulous!!! Quality and taste of the food was excellent. Very allergy friendly restaurant. Can modify some menu items to satisfy dietary issues....and still make the food tasty. This was our first visit of many more to come. This was my first time at Giovanni's Kitchen, and it will go on my list of favorite places. We were welcomed heartily and the food and service were very good. 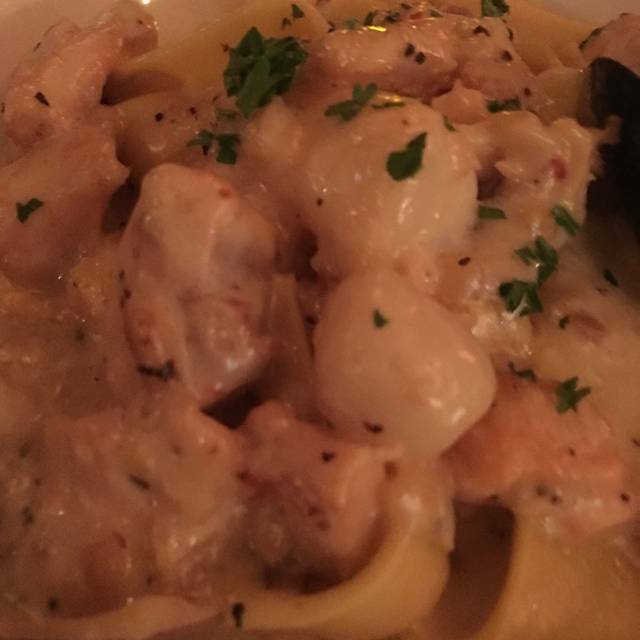 Giovanni's Kitchen in Ladue is consistently outstanding. Matt was our server. He was excellent as was our food. My wife enjoyed the Presidential Pasta (bowtie w/ salmon in light cream sauce). I had the Mahi Mahi special. Always a great evening meal. Love dining here anytime. 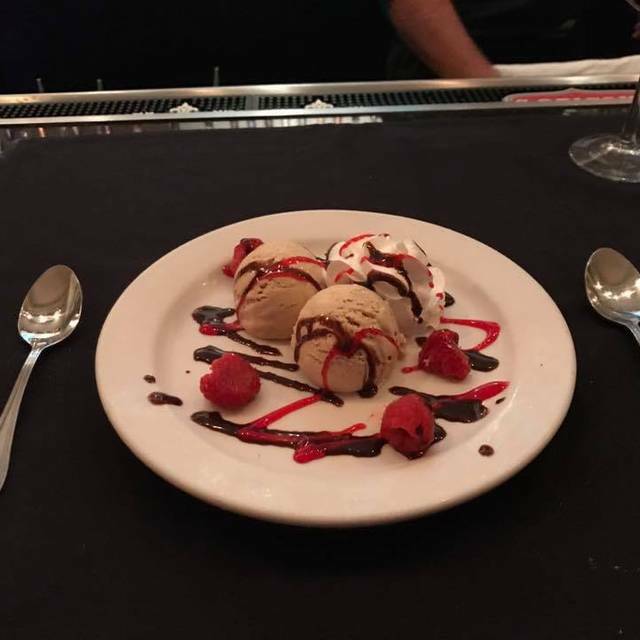 We always enjoy our dining experiences at Giovanni's Kitchen. Consistently good food, great service and nice menu. A perfect place for a casual dinner with friends, family or couples. We took a dear friend out for birthday dinner and everything was perfect! Great place to celebrate a special event. I did not like the eggplant and tomato salad. Tasted mostly like fried bread crumbs-where was the eggplant? Lunch menu not my favorite but we go enjoy dinner. All else was fine. Like always, food and service were outstanding. Giovanni’s is our favorite Italian restaurant in St. Louis and Carmelo is our favorite waiter! We dined on a very busy Saturday night with a group of 7 people. We requested and were placed at a round table in a corner. The service was good and exuberant. Everyone was happy with their selections and very complimentary of the food. Most of us took boxes home. Prices are very reasonable and we all left with a happy experience. This was our third time there. Our waitress was not attentive at all did not come back to see if we needed more drinks you had to flag her down. The food was mediocre. They favor to the regular guests who are there every week. Our waited last visit was terrific. We will not be returning. We were on our way back to Clayton and were lucky enough to get a table for 2 at 7:15 pm. We immediately welcomed and a nice table in the corner was set up. The food and service are always superb. Carmelo is one the best people working as a server in St Louis. Overall great experience and will be going back! Our server was wonderful and all the food was delish. Overall, not as good as usual, was somewhat disappointed. Waited over one hour for salads with no explanation.